Often the bottleneck in many assignments that involve video production is the choice of an audio track. Students can spend hours looking for the right song on the Internet, only to find out that they cannot use it because of copyright issues. 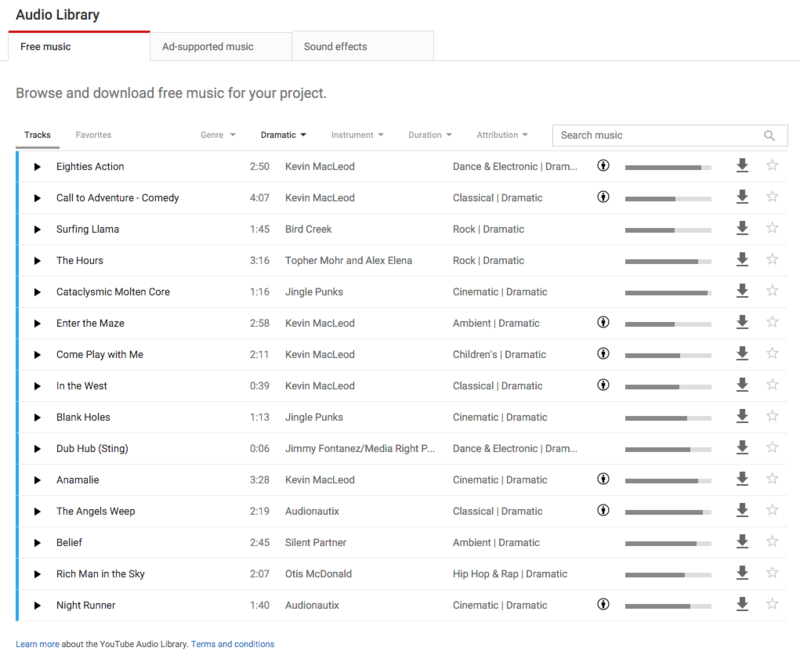 YouTube Audio Library tackles both problems at once and makes available for download free music for your projects with clearly labeled Creative Commons licenses. There are many websites that allow you to download Creative Commons music for free. This one includes an interesting list which features music and a link to search for sound effects.